Yankee Bride&Southern Groom - Recipes - Foodie Food! Fall has arrived! And so have all the autumn inspired recipes! Pinterest may be loaded with every seasonal recipe out there but I actually found this recipe hidden away in my email. 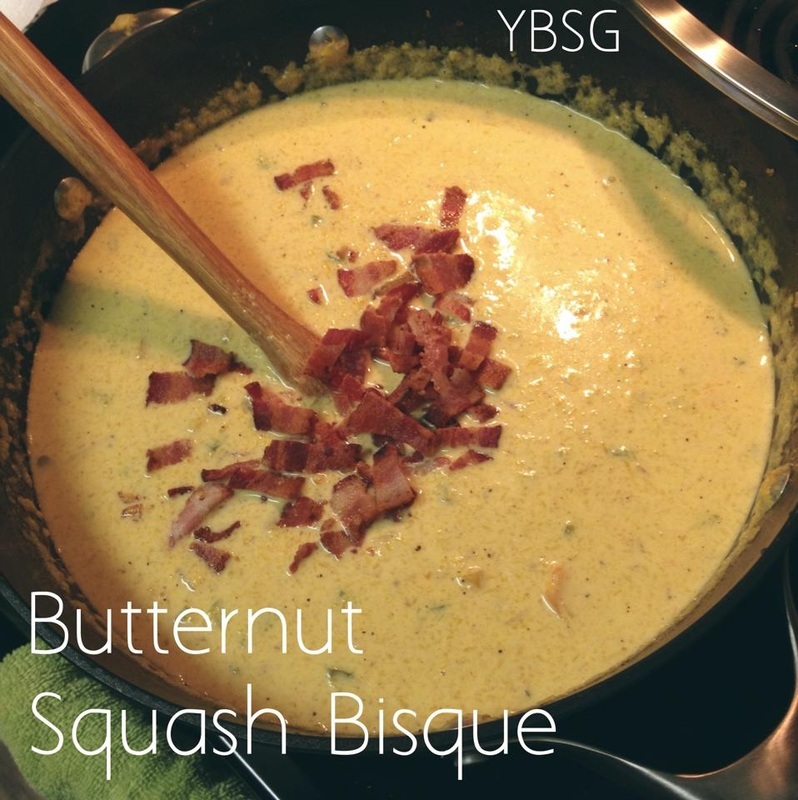 It was this time LAST year, that I had been looking for fall inspired recipes, and Mrs. Judy Quabius from WI had emailed me an amazing recipe for Butternut Squash Bisque. I&apos;d say it meets all the requirements I was looking for: seasonal ingredients, warm & comforting, and great for freezing and leftovers. I of course have learned over the past year and a half to "tweak" recipes as my knowledge of proportions and seasonings has grown. It&apos;s a bit of a learning curve, but it definitely helped in this recipe. With out further adieu, here is the recipe! 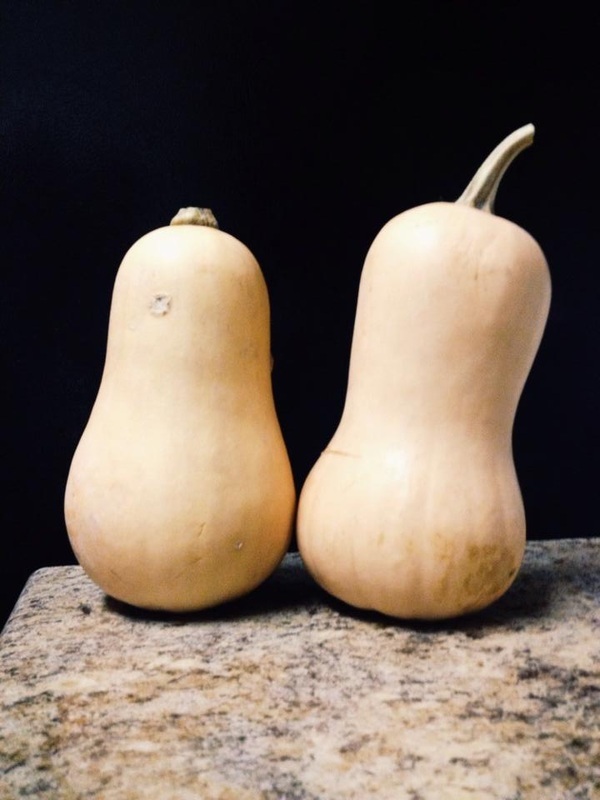 Peel & Seed 1 large or 2 medium butternut squash. Grate enough butternut squash to make 3 cups. Cut rest of squash into cubes (should be about 2 cups). Melt butter in soup pot. 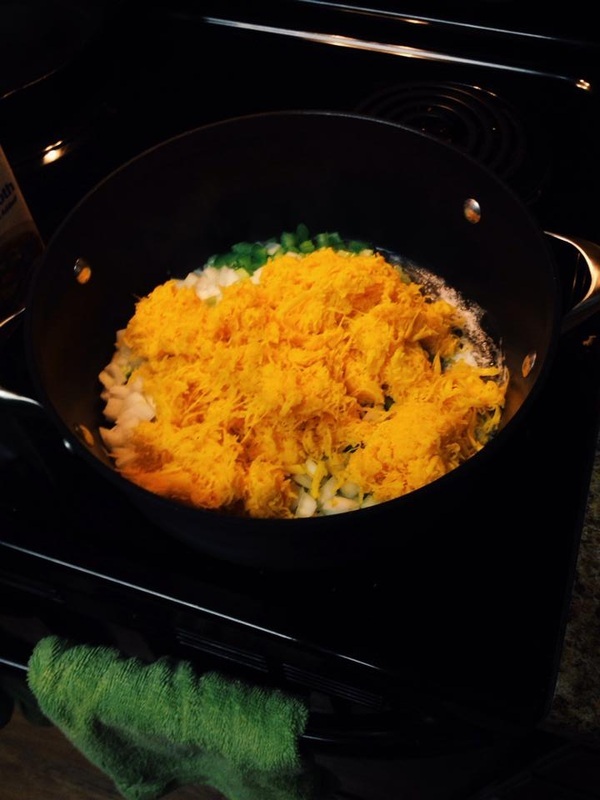 When sizzling, add onion, celery, and grated squash. Cook and stir for 15 minutes. Stir in 3 Tbslp of seasoning mixture. Add stock, diced squash, and rest of seasoning mix. Bring to a boil, reduce heat and simmer about 40 minutes. Return to high heat. Stir in cream. Bring to a boil and then simmer for 15 minutes. 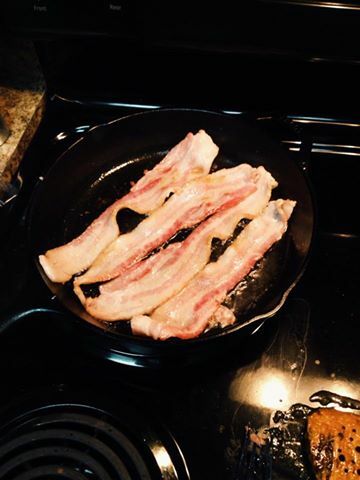 Add diced bacon plus one teaspoon of the bacon grease to soup just before serving. I prepared this with a side of crescent rolls to dip into the soup. Yum-o! This was a pleasant surprise for Ryan, as my last recipe with butternut squash was... was... bad! See it here if you dare. Happy Fall to you all! And watch out for some more fall favorites! If you have a recipe you'd like me to try or would like to see a certain autumn inspired recipe, please let me know!!! I was so excited to eat this cake until...well, until I did. Of all the days to mess up a cake, it had to be on my birthday?? Zero patience. 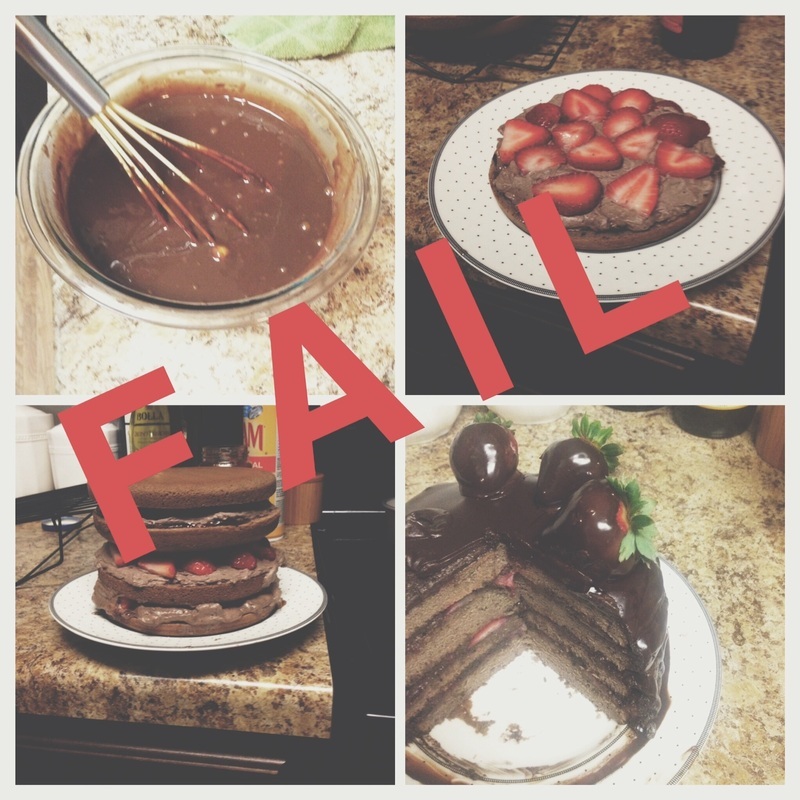 So there was only ONE thing that made this a fail, unfortunately, it was the literal cake part of the cake. I made a homemade sponge cake which turned out to be more of a piece of cardboard cake. Beware when attempting to make actual "cake" from scratch. The problem was that with a typical sponge cake you beat butter,sugar, and eggs together..and well it was supposed to triple when it really only doubled. So it was SUPER dense. Here is the original recipe: Strawberry Chocolate Cake I would suggest to maybe play on the safe side and use a box cake if scratch cake is not your thing. Because the ganache as well as the chocolate whipped cream was addictive! So in all things, translate, tweak, and most importantly, move forward and continue to try new things! Learn from my mistakes! Fresh from Pinterest as well as my own renditions, I will show you some stand-by recipes as well as some "stay away" recipes.